An original cigar box from the E.C. Chandler Cigar Factory, which manufactered cigars from 1891 to 1918 at 134 W. State Street in Sycamore is on display at the Sycamore History Museum on Thursday, March 19, 2015, as an example of how local industries benefitted from the railroad in Sycamore to ship goods. 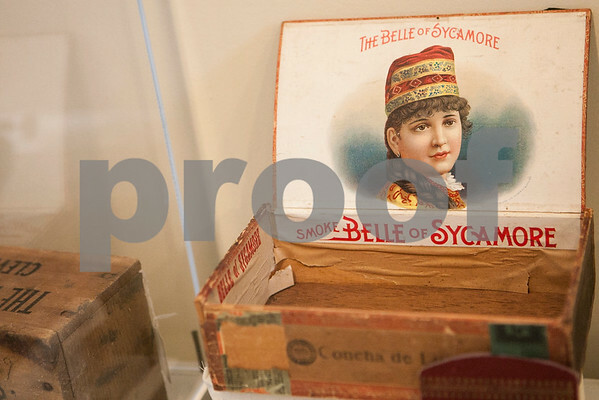 The cigar, the Belle of Sycamore, was the company's highest selling cigar.